You can do your basic bodyweight squats or you can up the difficulty and use dumbbells or your traditional barbell squat. Pause at the bottom of a squat for 5 seconds with the proper form shown in the diagram below. Then immediately do 5 squats. After the 5th squat, repeat the 5 second pause and do 5 more squats. Run this workout for at least 10 rounds (or as many as your body allows you to do). Pause at the bottom of a squat for 10 seconds with the proper form shown in the diagram below. Then immediately do 10 squats. 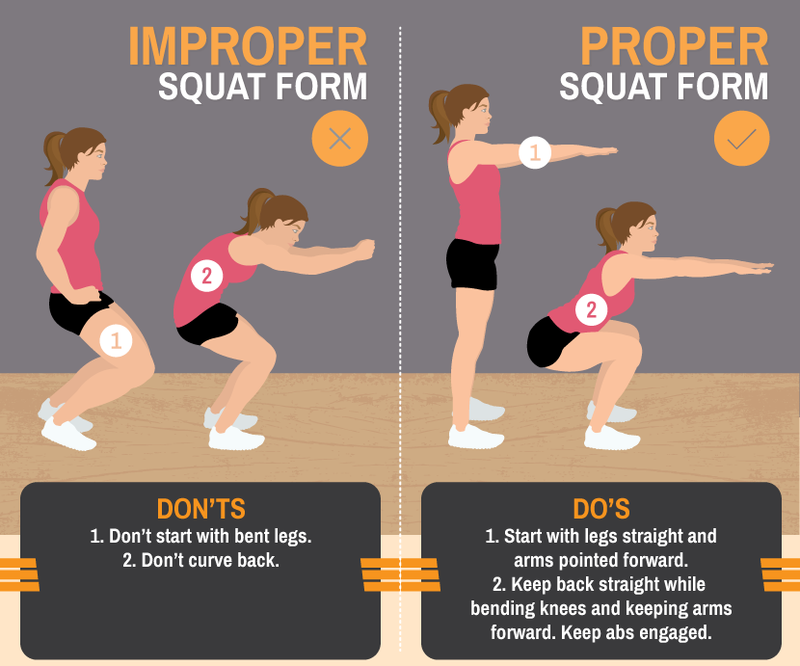 After the 10th squat, repeat the 10 second pause and do 10 more squats. One of the main goals of this workout to finish all 5 or 10 rounds of squats without taking a break, but if your body tells you to break for a bit, by all means do what you have to do. Keep in mind that building up your cardiovascular and lower body endurance will only help you going forward. Don't be one of those guys that only lifts upper body and likes to wear skinny jeans readily available in the girl section at Target. Et takes a deep sense of will power to strengthen your roots/foundation and that will permeate through every aspect of life forever out here. TREAT LEG DAY LIKE A LEGACY!!! !